Check out these top-rated tools and resources to help you set up your homestead and live more self-sufficiently. 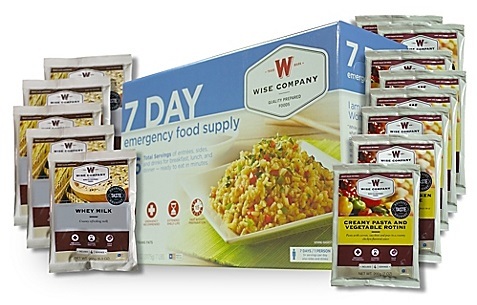 1 Week of Emergency Food: Unlike most of the preparedness bloggers out there, I actually DON’T recommend that you load up on 6 months of the commercial dehydrated “food storage.” However, I do think it’s a good idea to have 1-2 weeks of these easy-to-prepare entrees per person. Why? They are PERFECT for your family’s bug out bags. Simply add hot water to the contents of the pouch, and you’re done. They are extremely light, and take up hardly any room in your bag. 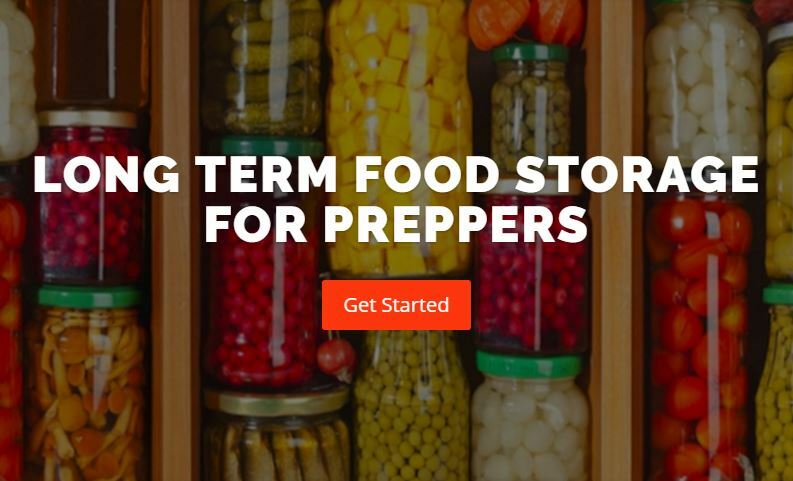 Long Term Food Storage Guide: This beautifully designed guide combines the collective wisdom of 31 of the leading experts on food storage and preparedness to take you on a step-by-step journey through the ENTIRE process. Planning how much food your family needs, budgeting for your food storage, creating the space you need to store it, which kinds of food should your family store, balanced nutrition in food storage, cooking, couponing, rotating, preserving your own food, and much more. If you are stuck or looking for ideas to jump-start your food storage, this is HANDS DOWN the guide. 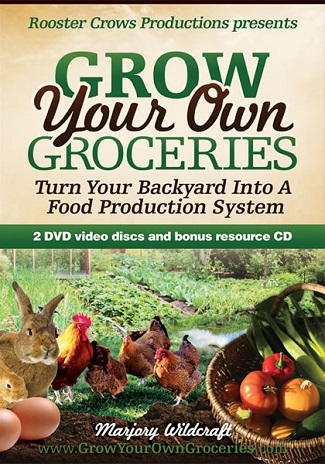 Growing Your Own Groceries Video Course: This course is not some pretty little, color-corrected, feel-good training. It’s not about growing ornamentals or making your yard look like something from Better Homes and Gardens. What it is however, is a raw and EXTREMELY real look at what it’s like to produce the calories your family needs. You’re going to see weeds, poop, and even a rabbit slaughtered and butchered right before you on camera (warning: that part gets bloody and is not recommended for the faint of heart). In this series, Marjory systematically covers how she feeds her family with gardening, chickens, rabbits, rainwater harvesting and more. I purchased this in the summer of 2015, and even as somebody who has gardened for multiple years and is a certified permaculture designer, still got a lot out of it (particularly with the planning and logistics component of creating a serious survival garden). Highly recommended. 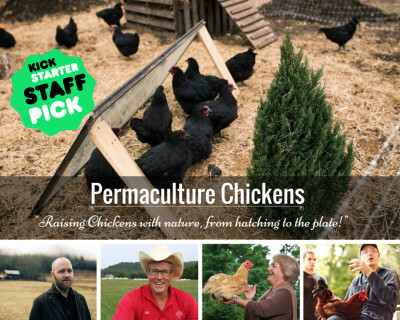 Permaculture Chickens: This is the definitive course on how to raise chickens for eggs, meat, and land management. In the course, chicken ninja Justin Rhodes takes you through each step of the process, with easy to understand terms and visuals. You’ll learn how to: hatch chicks from eggs, set up a brooder, make different kinds of chicken coops, reduce your feed bill to $0, and much more. You’ll also get first-hand advice from Joel Salatin and several other poultry-raising experts! This course is what inspired me to finally commit to getting chickens. Enough said. You can order the official course here (or, if you’re still not quite ready to commit to chickens, you can still check out a free 4-part video series Justin offers). 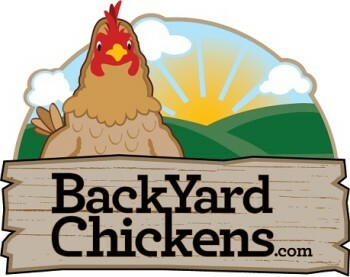 Backyard Chickens Forum: This forum of passionate poultry lovers is the end-all, be-all authority resource for keeping chickens. Their breed selection tool alone is invaluable for people starting out. It allows you to entire your criteria for chickens based on: size, climate-tolerance, breeding purpose (i.e. eggs, meat, or both), egg-laying frequency, and more. In addition to this great tool, you’ll find free downloadable plans for chicken coops, thousands of reference photos, location-specific advice, and a mega active forum of people you can learn from. 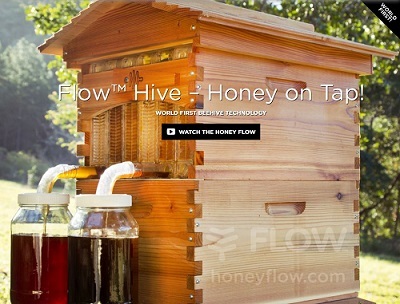 Keep Bees and Easily Harvest Honey with the Flow Hive: The Flow Hive was introduced to the world in the Spring of 2014, and revolutionized the beekeeping world. This well-thought out hive allows the beekeeper to monitor the activity, health, and honey production of the hive without disturbing them. And even better, it also allows you to extract honey by the turn of a “tap.” No more smokers, spinners, mess, and all day honey ventures. See the video of how it works here. 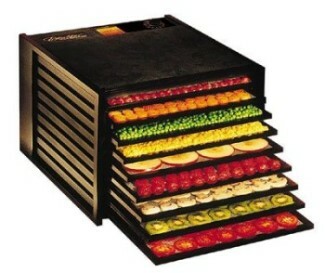 Excalibur Dehydrator: This puppy is the Rolls Royce of food dehydrators. Quick and even drying, it can handle vegetables, herbs, or meat. It can also be used to dry pasta, make yogurt, cheese, dry nuts, or raise bread. 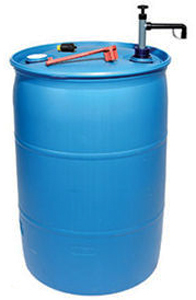 55-Gallon Drum: Ol’ Blue!! This is the quintessential water storage container. Durable and inexpensive, these are one of the easiest ways to get started and make a sizeable dent in your water storage. They come with an simple hand pump that works great for extracting the water. Water BOB: The Water BOB is a great prep for last minute water storage. 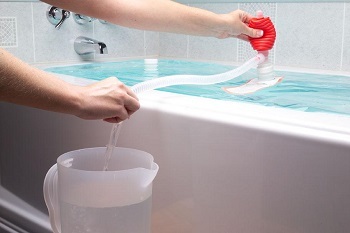 With just a few minutes notice, the Water BOB can be deployed in your bathtub and filled with potable water. While you may not always have the luxury of a few extra minutes, it doesn’t hurt to keep one or 2 of these on hand for your bathtubs. Holds 100 gallons. 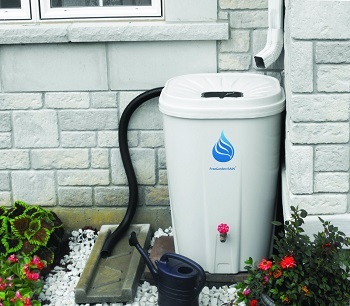 Rainwater collection: With a simple downspout diverter, these 55-gallon containers allow you to easily capture your water runoff and store it for later. I have 2 of them at my house. They come with an overflow hose and a valve at the top, so you can either connect barrels in circuit or divert the overflow to a better location. 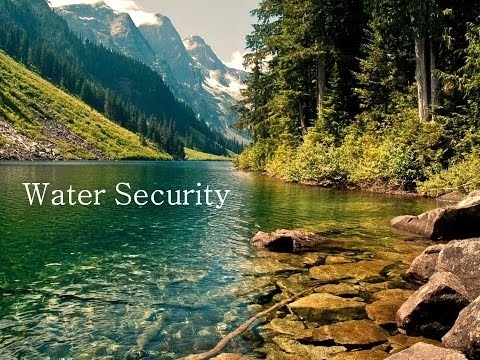 Get Your Property’s Water Systems Designed By Practical Preppers: Scott Hunt and the Practical Preppers team have consistently impressed me with their innovative designs for creating water security on a piece of property. They begin by evaluating the total water needs on the property (people, livestock, crops), and then they systematically engineer solutions to meet or exceed those needs, using a combination of: spring development, well-digging, making use of existing water features, and strategic storage in “top of property” locations (with the potential to divert to a number of locations around the property using only gravity). You can find an enormous video repository of their projects on their YouTube channel, or chat with them about the details of your project on their website here. 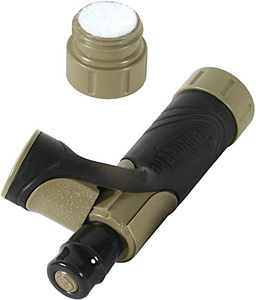 Aquamira Frontier Pro Water Filter (for Your Bug Out Bag): This inexpensive filter gets my award for versatility. Its threaded end allows it to screw directly on to a water bottle, hose bib, hot water heater and more. If that’s not what you’re looking for, it also works with your Camelback hose, gravity fed water storage bladders, and even has a straw attachment that allows you to drink directly from a river or other source of your choosing. 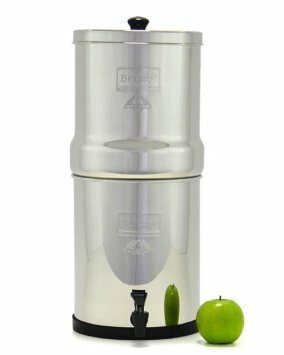 Big Berkey Water Filter: The Berkey line of water filters are legendary for their ability to filter out all kinds of impurities and toxins. They have been tested again and again, and never disappointed. All around the web, you will find all kinds of people repeating the same thing over and over–they LOVE their Berkey. I am no exception to this–my wife and I got ours at the beginning of 2015, and have used it as much as we can since that time. In addition to getting our drinking water from it, we use it to make ice, to make baby bottles, in cooking, watering the dog and more! Our household has 2 adults and 2 small children, and we end up filling it roughly every 2 days. If your household is any bigger, I would definitely recommend getting the next size up, which is the Royal Berkey. 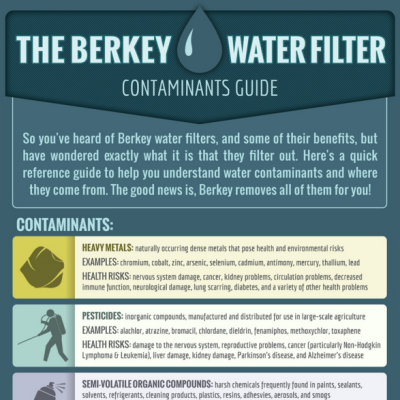 The Berkey Contaminants Guide: As mentioned above, the Berkey filters do an incredible job of filtering contaminants out of your water. Because there are so many different sources of water contamination, I thought it would be an interesting idea to create an illustrated guide, showing just exactly where all the different types of water contamination come from. It turned out really well! If you have a spouse, friend, children, or blog readers that could benefit from seeing it laid out a little better, this is a great tool for them! 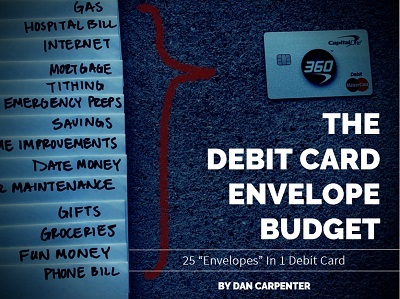 Debit Card Envelope Budget (Electronic version of Dave Ramsey’s Envelope Budget): A budget is one of the most critical tools you will use in becoming self sufficient. This nifty budget allows you to divide up your actual checking account into “envelopes” to be used for a specific purpose, and then spent from using just 1 debit card. Very slick. No more need to carry around a million envelopes and cash. Complete details on how it works here. 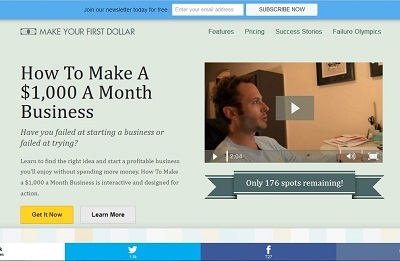 Read These 25 Case Studies of People’s $1,000 a month side businesses (and get the monthly 1k course! ): There are a million and one books and articles on how to make money (and not surprisingly, many of the people trying to teach you about making money are only making money themselves because you have paid them for the training on making money.) So why this one? Because this one if focused squarely on the 1st crank of the flywheel. Square one. Ignition. When you are trying to generate your first few dollars on your own, you don’t need a “million dollar business idea”, what you need is an EXECUTABLE thousand dollar business. That’s what this course is all about. Getting you out of the gate with your very first few dollars. It helps you cut away all the fluff (logos, workspaces, business cards, elaborate plans, funding, employees, slogans, partnership opportunities), and get straight to the meat–validating whether you have an idea that people will actually pay money for, and making your first sale. 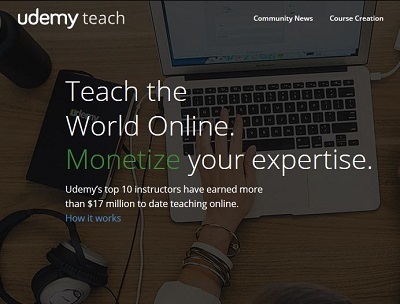 Create and Sell Udemy Courses: For those who may not know about it, Udemy is an online repository of video instruction that spans an enormous variety of topics. Ever wanted to learn how to make your own sushi? Want to become a master in furniture making? 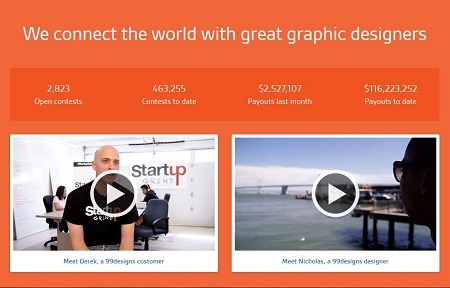 Udemy offers video courses on both of these–plus thousands of other topics. It’s a fantastic place to get real education on a subject you are passionate about, and it offers a great opportunity to create some income for yourself as well. With a little strategic thinking and some planning, you can create courses of your own, and then generate a commission for yourself whenever somebody enrolls in it. This may not make you a millionaire overnight, but the barrier to entry is VERY low. If you have a skill that you can teach in front of a camera, you can sell a course on Udemy. Complete details here. Earn Money Driving for Uber: Unless you’ve been living under a rock for the last several years, you already know by now that Uber has revolutionized the transportation industry. 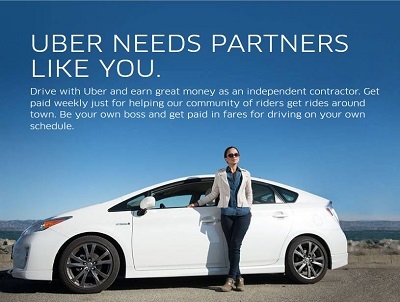 And they offer an excellent opportunity to make some money to anybody that would like to partner with them as a driver. Set your own hours, decide if you want to work full or part time, and earn money getting people to and from their destinations! Obviously there are some requirements for becoming a driver, but in general, this is an opportunity that many people can take advantage of. I am not actively giving people rides, but I signed up as a driver anyway, just so if I ever need to fall back on this, I am all set up and ready to go. Highly recommended! 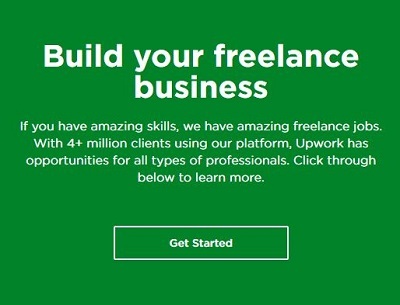 Earn Money as a Freelancer on Upwork: Upwork is a giant marketplace of professionals exchanging services on a freelance basis.The scope of services offered ranges from web and mobile developers, professional graphic design, sales and marketing, administrative help, accounting, writing, and more. Once again, if you have experience to offer, there are people that will pay for it here. Register as one of their professionals, and bid on jobs that you people need completed. 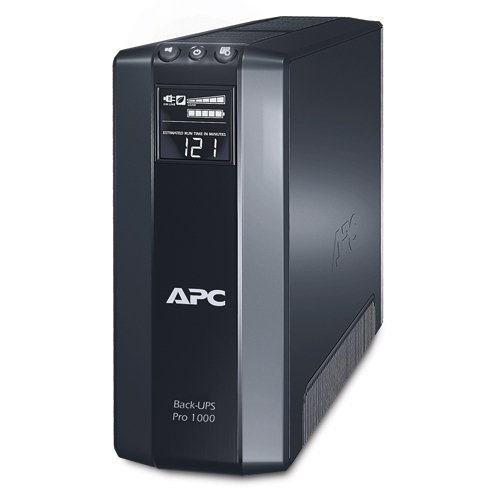 Backup Battery: This compact unit offers guaranteed battery backup and surge protection for critical electronics–computers, networks, your modem, and more. In my house, we use this to backup emergency medical devices that my kids need. Plug your devices into this unit, plug the unit into the wall, and boom. Battery backup. They come in 700, 1000, 1300, and 1500 volt sizes. 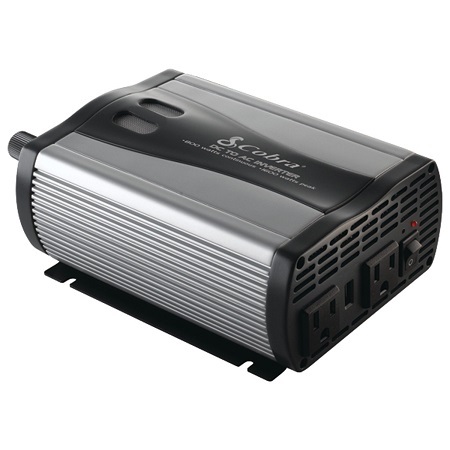 800 Watt Car Inverter: A car inverter like this is inexpensive, and can power the critical components of your home while you have gas in your tank. Simply hook it to the battery terminals, and draw the wattage you need. The load is obviously limited, and as I say, you’re not going to be able to power a rock concert with it, but at 800 Watts, it will give you lights, radio, tv, computers, and possibly a microwave or refrigerator at least intermittently. Well worth it. 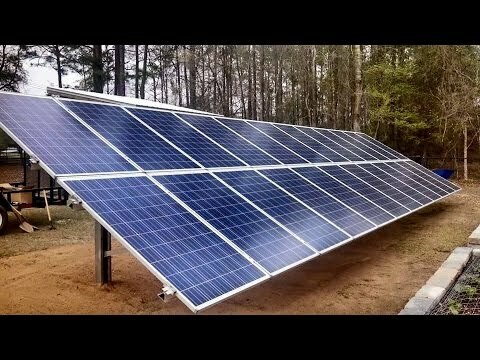 10,000 Watt Generator: If you have the means, getting a generator is a big step up from a car inverter (although considerably more expensive). A 10,000 watt generator like this will allow you to power nearly everything in a typical household. This generator comes with both 120 and 240v outlets, so you can run things like electric stoves, washing machines, dryers, and heavy duty tools. 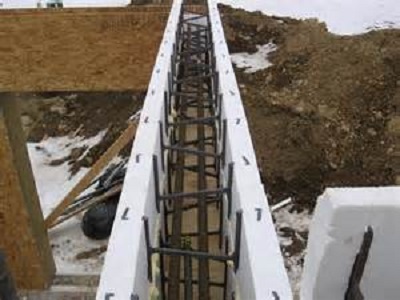 ICF Construction: Insulated concrete form housing is one of the smartest construction methodologies there is. By constructing walls made of styrofoam and then filling them with concrete, a higher thermal mass is achieved, creating greater insulation. Benefits include: lower utility bills, more soundproof, elimination of hot and cold corners, more resistant to: storm winds, fire, earthquakes, and even bullets or flying debris. Because of the durability of the structure, some homeowners receive insurance benefits as well. And remember, greater energy-efficiency increases the likelihood of being able to power your house via off grid means (solar, wind, gasification, etc). Practical Preppers Consulting: As mentioned in the “Water Security” section above, Practical Preppers are the premiere off grid engineering consultants. They are extremely fluent in the language of living off the grid. Adept at setting up solar systems, satellite internet, battery banks, well water, in-home heating, and much more. If you are looking to begin building or increase the grid independence of your existing home, I would definitely chat with these guys about what you have in mind. In addition to consulting, they get out and physically project manage many of their jobs through to completion. 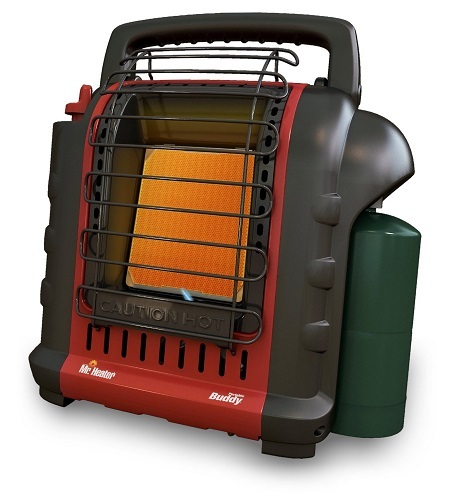 Mr. Heater Buddy Heater: This compact heater runs on propane, but it INDOOR SAFE! If you are looking for a sensible, low-cost source of backup heat, this is an extremely smart way to do it. The supply nozzle on it can interface directly with small 1-pound propane cylinders, or attach to the hose of a larger cylinder. They are easy to ignite, and come standard with a low-oxygen shutoff sensor. When I rented a basement apartment and wasn’t able to make wholesale improvements to the home, I got one of these and a few fuel cylinders as a last resort source of backup heat. 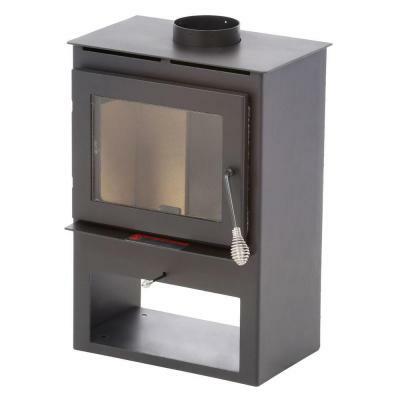 Wood Stove: In my opinion, if you live in a home that is primarily heated by natural gas, electricity, or kerosene, a wood stove is THE SINGLE BEST source of backup heat you could possibly have. Wood is plentiful, inexpensive (often free if you are keeping your eyes out), burns hot, is safe to store, and keeps forever. It is a renewable energy source, and has been the mainstay of cooking and heating since the beginning of time. When you consider all of this, wood stoves can be purchased very inexpensively, and frequently available on the used market for even less. In my current home, my wood stove is primarily for heating my basement, so I have a model sized for under 1,000 square feet. If my house were set up differently however, I would get a larger unit, and burn wood as my primary source of heat. 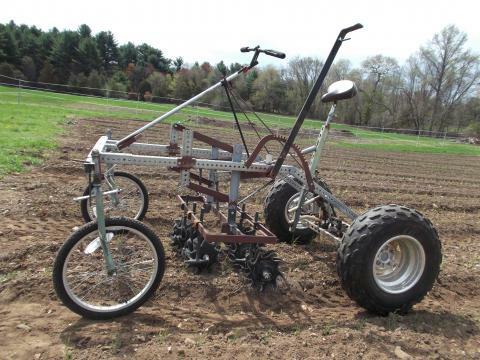 Farm Hack: The Farm Hack community is a gold mine of DIY, inexpensive, and alternative tool ideas used by growers all over the globe. Sort through the enormous board of tools for all kinds of uses, and on all kinds of budgets. For each farm hack contributed, you will find a thorough write up, photos, and sometimes videos and/or plans. All ideas are free and open-source. Great marketplace to exchange ideas. 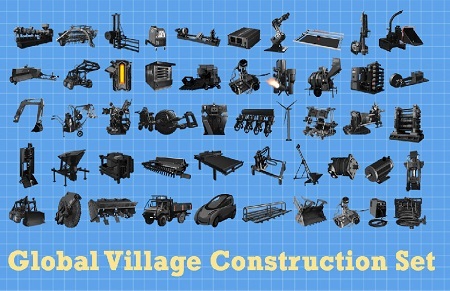 The Global Village Construction Set: This incredible project is attempting to recreate the 50 machines that are needed to sustain a small community with modern comforts. The machines are fabricated using modular parts (i.e. 1 size wheel for all machines that need a wheel, 1 size engine for any machine that needs an engine, etc). All plans are open source and freely available. While these machines would be cost-prohibitive for a single family, they are an extremely smart solution for a small community or neighborhood. Imagine every neighborhood having access to 1 or 2 of these 50-machine sets. I would welcome the chance for an arrangement like this. Remember, being self sufficient doesn’t mean that at times interdependence isn’t a great idea. Geoff Lawton’s Video Library: This free collection of videos has inspired me beyond words. In them, Geoff travels the world to show us different case studies of people using permaculture techniques to arrive at simple, low-tech solutions for food production, water security, and self sufficient living. There is no sales agenda, no pitches, just great examples of people using permaculture all over the globe. I have seen every single one, and constantly refer people to them. Big hat off to Geoff and his team for their dedication to bringing us useful information and inspiration. 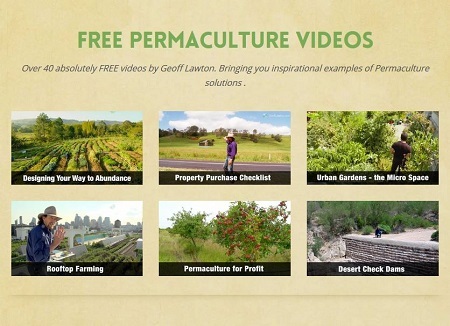 Get the video “Cliff Notes” from a $1900 Permaculture Design Course: Permaculture has a SERIOUS seat at the table when we’re talking about being self sufficient. It is a design science that evaluates someone’s goals, uses all the natural patterns available to get as close to those goals as possible, and then bridges any remaining gap with the most resilient, low tech, easy to implement solutions. 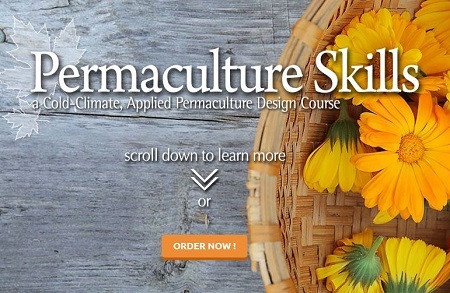 I recommend that any anybody who is truly serious about being self sufficient attend a full-length permaculture design course. But they can be cost and time prohibitive. I attended my first one in the summer of 2015 at Ben Falk’s place in Vermont. It was $2000 and 10 days, PLUS the time and expense to travel to get there. Not an insignificant undertaking. Before you commit to this, a REALLY good resource for you is the Permaskills video series. 39 videos that dissect the specific topics covered at a permaculture design course (for a total of more than 7 and a half hours of instruction). Topics covered include tree crops, growing and using medicinal herbs, pond design, grafting, propogation, soil properties and potential, smart planting tips, hiring out your design services to clients, mushroom cultivation, low-tech tools for your arsenal, and more. There is no substitute for going in person to the real thing, but before you make such a sizeable investment, do yourself a favor and pick up this set. At the time of writing this, you can get streaming access to the entire set for less than $35. A Striker-fired, semi-automatic pistol: I wash my hands of the pointless “Glock vs. Smith & Wesson” and “9mm vs. .45ACP debates“, but I do care that you have a reliable semi-automatic pistol. It should be one that you are comfortable with, and can afford to shoot and train with. 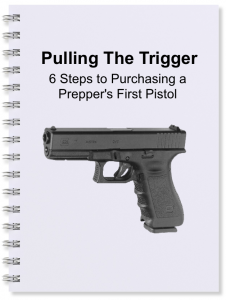 Because I get the question so frequently however, I put together my complete set of recommendations for people purchasing their first “preparedness” firearm (as opposed to a collector’s piece, a show gun, etc). Getting a defensive firearm (where legal) is an important step. I congratulate you in taking it, and sincerely hope my recommendations help. Concealed Carry Permit Online: This is NOT recommended for somebody who is completely unfamiliar with firearms. 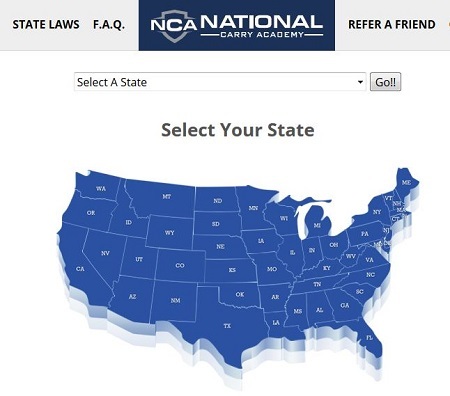 However, if you have significant experience with firearms, and are simply wanting to get the piece of paper that allows you to legally carry your firearm concealed, this is a great way to go. Enrollment in these classes grants you access to video instruction, and the official test that you will need to take for certification. Upon successful completion of this test, you can print out and send the results to your issuing authority as proof of taking a class (make sure you know the requirements in your locality). When I finally got around to applying for my concealed carry permit, I already had extensive experience with firearms (and in fact was working for a firearms manufacturer), so this was a perfect option for me. Inexpensive, quick, and can be completed when it fits your schedule–any time of the day or night. 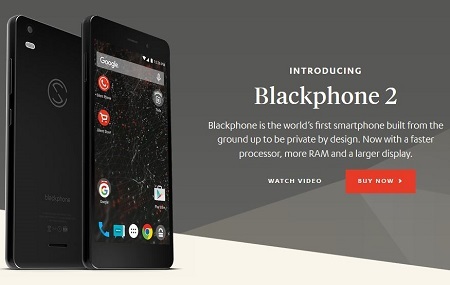 The Blackphone: One of a kind, the Blackphone is the first phone to take a serious stab at combating the threats to telecom privacy today. Engineered from the ground up to put you in the driver’s seat of your privacy, it’s proprietary suite of software allows you to create rules for connecting to wifi networks, designate operating protocol for both work and personal spaces, and have completely encrypted text and voice conversations. Although the $800 price point puts it out of the reach of most consumers, I would be remiss not to include it here as the premiere telecom solution for those that are in the position to go this route. Get complete details here. The Divi Theme: For years I limped along using “one-off” themes, until the developer quit updating them and things started breaking. When this happens, it’s not only frustrating and time-consuming, but it also makes you look really unprofessional. Then in 2015, I found Divi. 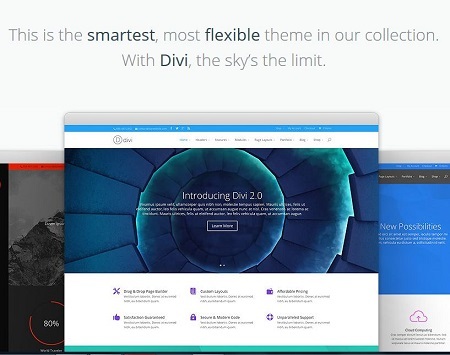 There are 2 reasons why Divi is THE BEST solution for anyone who’s serious about their content: First, The Divi Theme provides you with a no-hassle, “drag and drop” way to present the content on your website. Want 4 columns? No problem. Want 3 underneath? It’s a cinch. If you can dream up the layout, Divi can handle it. And then if this weren’t enough, it also includes a “theme customizer” that gives you further control over the design elements of your site, AND a real-time preview as it’s happening. With the click of a mouse, you can change font types, sizes, colors, sidebar widths, margins, gutters, background images, and tons more. Watch it happening before you even click save, so you can be sure you like it. If this sounds like what you’ve been looking for, check out more of the details and layout styles here. Yoast SEO: Yoast SEO is widely known as the best SEO plugin for WordPress that there is. It allows you to quickly and easily see if your page is set up to rank for the keyword you are wanting to rank for. Easily designate article titles and descriptions for the search engines to display, easily connect your Google Analytics account, designate which images will appear when someone shares your page to Facebook or Twitter, and MUCH more. Plus, it’s constantly up to date with the latest standards. Hostgator: I used to use GoDaddy for domains and hosting, but navigating the backend admin area of GoDaddy made me want to gouge my eyeballs out, and the wait times when you try to call them are even worse. 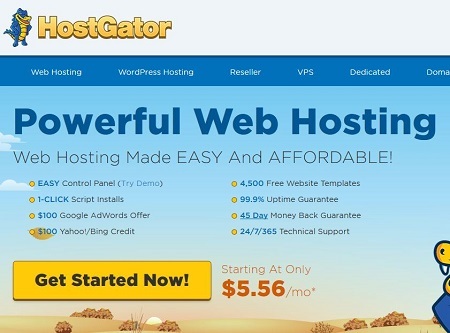 Now I use Hostgator, and LOVE how fast their over-the-phone service is. If you’re looking to set up a website, learn from my mistake and just use Hostgator. 99 Designs: 99 designs is a marketplace and escrow service where you can recruit and hire professional talent–with 2 big differences: 1) Like the name would indicate, 99 Designs focuses specifically on design related tasks–websites, logos, t-shirts, book jackets, etc. 2) The coolest thing about 99 Designs is that designers actually submit designs for your job BEFORE you have even paid them. So for every job you post, you will likely receive 30-80 different versions of what you’re wanting. At that point, you can select which design you like the best and award your payment to receive the files. In the event that you don’t like any of the designs, simply cancel the job, and don’t pay any of them. 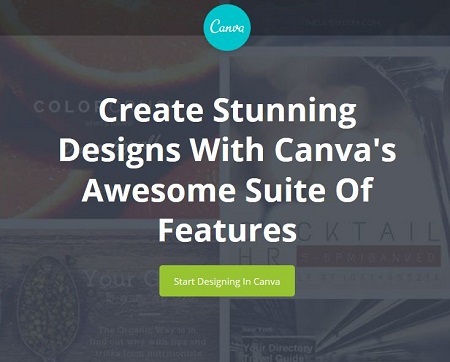 Canva: Canva is the easiest image customization tool I’ve ever found–and it’s free! Simply upload your image using their easy to navigate interface, and then add text, filters, and a number of other effects. Or if you need help getting started, you can choose from their templates (many are free, some are $1). 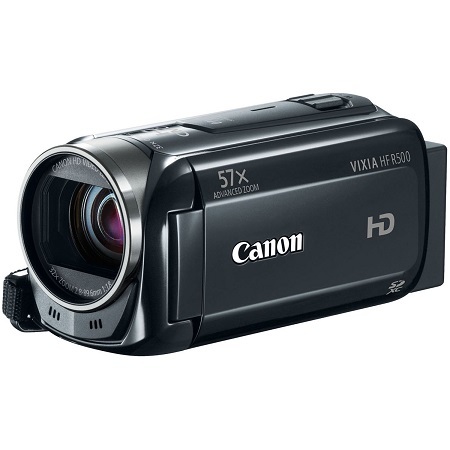 Canon Vixia: This humble little camcorder has gone with me on tons of adventures, and is the primary shooter for the videos I upload. Durable and easy to use, it shoots great picture, can be connected with an external microphone for additional quality, and features a viewing screen that flips around so you can frame yourself up nicely if you’re filming yourself. 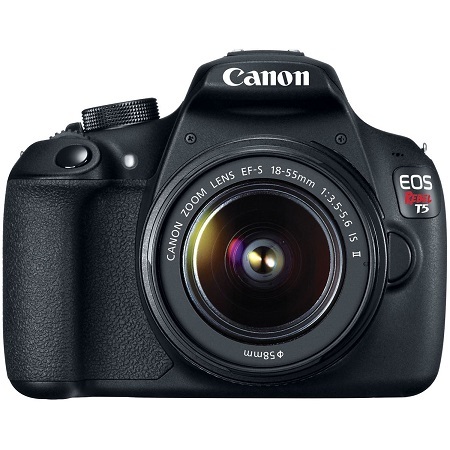 Canon DSLR: The camera that I use to shoot some of my nicer videos is the Canon T3i. It actually stopped being manufactured a while back (that should tell me it’s time for an upgrade right? ), but it is still a great camera with a fantastic picture. 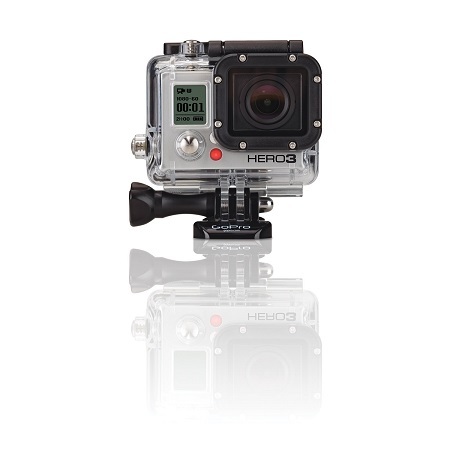 Go Pro Hero 3 Black: While the GoPro Hero 3 Black is no longer the top of the line camera being offered by GoPro, it is still very good. Comes with a remote, and takes a really good picture. For being outdoors and on the go, there is no camera that takes a more interesting “run and gun” style video. These puppies are getting less expensive all the time!